This headphone may appear to cater towards the consumers, however, don’t be fooled, the Triple Driver Over Ear possesses enthusiast quality in every regard. 1More has built a reputation upon a foundation of value. Their Triple Driver and Quad Driver in-ears both provided great performance for the money and a sound tuning that pleased users and critics alike. Their new headphones follow suite, implementing three drivers; 2 active and one passive. In addition to a 40mm graphene dynamic driver, the Triple Driver also implements a ceramic tweeter and passive bass reflector. The headphones employ 1More’s signature aesthetic and high level of build quality while undercutting the majority of competitors at $250 USD. This makes it one of the cheapest premium portable over-ear headphones on the market. You can read more about the Triple Driver Over Ear here and purchase one for yourself here. *Of note, the silver/grey variant reviewed here is not to be confused with the brass/black model, that is an older variant with a titanium as oppose to graphene driver and a different tuning altogether. I would like to thank 1More very much for their quick communication and for providing me with the Triple Drivers for the purpose of review. All words are my own and there is no monetary incentive for a positive review. Despite receiving the headphones free of cost, I will attempt to be as objective as possible in my evaluation. A signature trait of 1More products is their elaborate packaging. The Triple Driver OE is no different with a lavish unboxing that feels delightfully premium. Inside the box buyers will find a compact hard zipper case with internal scaffolding that perfectly cradles the headphones. The case has a soft velcro pouch that contains the cable and other accessories such as a flight and ¼” adapter. As aforementioned, the Triple Drivers stay true to 1More’s reputation for solid build quality and industrial design. Small touches such as a concentric ridging of the driver enclosure, transparent face-plates emblazoned with a Maserati wheel design and chamfered edges all portray an image of structural integrity. The entire assembly is aluminium from the 3-piece ear cups to the sturdy pivoting hangers and folding hinges; all integral parts of the headphone’s structure prone to wear and breakage, it’s good to see 1More considering longevity. The headband is well padded with a grooved design that’s said to spread weight more evenly. Unfortunately, the faux leather used here is not the greatest, it’s a little plasticky but gets the job done. The earpads are far better realised. They’re constructed from a softer pleather with a finer texture. They’re stuffed with slow-rebound memory foam that conforms to the ears over time and permits a strong seal. Inside are bold orientation markers and lightly padded driver covers that aid comfort. Unfortunately, it’s in this regard that the headphone falters slightly. Though marketed as an over-ear, the Triple Driver is much more of an on-ear headphone on behalf of its rounded pads with a small internal opening that fails to fully encompass even my average sized ears. Moreover, the pads are quite thin so don’t expect comfort similar to Bose’s QC range for instance. Being a portable headphone, the Triple Drivers are comfortable for a handful of hours before they start to wear on the outer-ear. That said, discomfort never forced me to stop wearing the headphones and, combined with their light weight and medium clamp force, they are stable and an excellent choice for commuters. Being a closed-back design, they offer above average isolation on top perfect for public transport if not quite perfect for air travel. Still, they are not the most comfortable headphone for prolonged listening at home due to their aforementioned comfort niggles. The adoption of a dual entry cable system contradicts with this sentiment slightly as most portable headphones implement a more convenient single-sided cable. This also makes it harder to convert them to wireless using an adapter. That said, it’s fairly safe to assume that a wireless revision is on the close horizon given 1More’s recent releases. Still, the cable is light and unobtrusive. It connects via recessed 2.5mm connectors that snap confidently into place. From the y-split down, the cable is well-constructed with a braided sheath leading to a case-friendly straight 3.5mm plug. Above the splitter, the cable has basic rubber insulation and is fairly thin, however, it is nicely relieved at both ends which should contribute to greater longevity. The Triple Driver pursues an engaging V-shaped sound emphasizing the bass and treble. Despite this, 1More haven’t overcooked the bass to the point of muddiness and treble doesn’t come across as hot or fatiguing either due to a restrained lower-treble tuning. Their low-end is warm and full while a fairly sizable upper-bass dip promotes great bass/midrange separation ensuring vocals remain more tonally transparent. Meanwhile, treble focusses on the higher octaves which effectively enhances perceived headroom and reinforces their strong top-end extension. This headphone puts an intriguing twist on the consumer V by integrating some tuning traits more commonly seen on higher-end gear. The low end of the Triple Driver is one of its strengths, drawing most attention within its sound and providing a full, punchy yet well-controlled presentation. Its low-end power stems from a moderately emphasized and well-extended sub-bass that enhances kick and slam. Mid-bass has most emphasis producing a full, warm bass presentation while avoiding over-warming, tubbiness or bloat. In fact, due to elevation of the higher-frequencies combined with a de-emphasized upper-bass, this headphone actually sounds fairly clean in tone throughout. Quality may surprise listeners as this headphone, though only fairly tight within the lowest registers, has a very well controlled mid-bass. The result is an enlarged but less focussed sub-bass slam combined with a defined, detailed mid-bass that retains impressive detail despite its notable emphasis. The Triple Driver impresses with its speed too, though its sub-bass does slightly confuse its sound on more complex tracks. Still, separation is high and the low-end is a refreshing change from ill-defined bass cannons commonly found in retail stores while upholding the same kind of mid-bass impact and sub-bass power. Due to the Triple Driver’s dip in the upper-bass, its midrange is very well-separated from its low-end and considerably more tonally neutral. However, as its lower-midrange is well-present, the Triple Driver isn’t a cool or thin sounding headphone, delivering vocals that remain reasonably natural with adequate body and smoothness. Vocal size, however, is reduced and instruments tend to draw more attention. This is counteracted by a rise in the upper-midrange which generates large midrange clarity, drawing attention to smaller details. Meanwhile, a 4KHz dip adds a layer of smoothness to the midrange, so although vocals are very clear, they aren’t thinned out or hollow. This enables a midrange that may not have the most present vocals but certainly provides a natural reconstruction alongside possessing excellent clarity; a character that is not easy to achieve but effectively serves to heighten engagement without sacrificing note resolution. Though not perfectly linear or accurate in timbre, the Triple Driver OE’s midrange is highly engaging due to its excellent vocal clarity, despite vocals themselves being moderately recessed. The typical V usually implements an emphasized lower-treble to bring details to the fore, however, the Triple Driver doesn’t rely on such tuning to provide a nuanced listen. Instead, it has a fairly natural lower-treble that delivers well-bodied instruments and even a slightly smoother note attack, instead focussing the middle and upper-treble. This provides enhanced air and a pristine over crisp or sharp treble instrument portrayal. This tuning also aids the midrange, preventing over-articulation of vocals. The Triple Driver, therefore, conveys a brighter image and it has a touch of additional sizzle and tizz due to its higher emphasis. This is a character observed on many ceramic driver models though it is likely due to their implementation in the tuning over an inherent characteristic of the driver. Nonetheless, the Triple Driver is airy and open with heaps of headroom. It has pleasing sparkle that injects energy into its sound in place of a lower-treble spike. 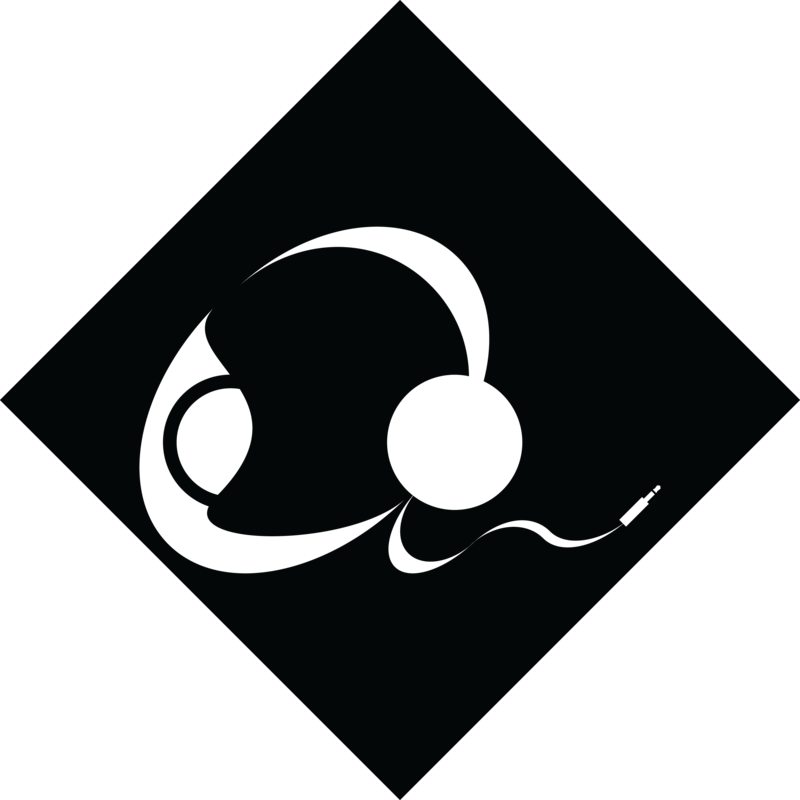 Extension itself is strong for a midrange headphone contributing towards an expanded stage and much higher background detail retrieval than one would expect. Though some listeners may find its foreground a little too smooth for taste, this headphone actually delivers more detail than most similarly priced competitors, it just isn’t as immediately apparent. The top-end provides nice contrast to the Triple-Driver’s low-end, avoiding over-brightness while providing ample headroom and energy. The Triple Driver produces a relatively open soundstage that expands just beyond the head in both width and depth. It provides convincing imaging, especially accurate within the treble where directional cues are delivered with pinpoint precision. Otherwise, vocals tend to be well centred and instruments are pushed slightly to the sides. Separation is generally high due to their delineation between bass and mids, and that trough in the upper-bass that prevents over-saturation of its sound. Similarly, treble isn’t overly bright within the lower-treble which prevent over-shadowing finer background details. This headphone has a well-considered presentation that performs nicely in each regard. The Triple Driver has a 32ohm impedance and a 104dB sensitivity that makes it fairly easy to drive without becoming sensitive to output impedance or hiss. It sings happily from a smartphone though with slight damping of the ceramic tweeter driver producing a smoother but also less-engaging top-end. Still, it scales rather well with amping, especially with regards to bass control. From a desktop amplifier or dedicated DAP, the Triple Driver’s low-end is notably tighter and more controlled, becoming more separated and defined due to its quicker decay enabling greater detail retrieval. When on the go, this isn’t as important and the headphones still sound great from a smartphone, however, it’s encouraging that the Triple Driver scales as well as it does for those wanting to incorporate some critical listening at home. Meze 99 Neo ($250): The 99 Neo is another headphone that somewhat undercuts competitors costing closer to $400 and up. It has a significantly larger design that better suits home listening due to its wide suspension headband and deep, spacious ear pads. The 99 Neo is much more comfortable long-term with a true over-ear fit. Sonically, the 99 Neo is more bass focussed, warmer and fuller. It has less sub-bass emphasis but a similarly full mid-bass with a substantially more present upper-bass that instigates its fuller, warmer but also more bloated sound. Its bass isn’t as dynamic or separated as the Triple Driver as a result, it lacks the same kind of definition but delivers greater body in return. The 99 Neo has more present vocals, they are also thicker and warmer due to bass colouration. The Meze sounds a touch more linear than the 1More which is clearer but also less coherent. The 99 Neo implements a lower-treble emphasis to lift its top-end. It has more foreground treble attack and detail presence, however, it doesn’t have the same kind of extension and headroom as the 1More as it rolls off sooner. In return, it has a cleaner background, it also has more background/foreground separation. The 1More has a larger soundstage though not by a large degree and it has significantly better treble resolution, though the 99 Neo has the more layered midrange due to its greater linearity. Denon MM-400 ($250): The MM-400 also has a true over-ear fit and though it has shallow pads, its angled drivers enable a comfy fit. It has a gorgeous wooden design that matches the industrial styling of the 1More. In listening, it is slightly warmer and more balanced but also more linear, lacking the dips and emphasis of the 1More in favour of a more coherent sound. It has very slightly less sub-bass extension and also less emphasis combined with modest mid-bass emphasis that grants it light warmth. It slopes gently through the upper-bass, smoothly transitioning into the midrange. The 1More is a more aggressive sound with greater bass presence but it also sounds less integrated. In return, the 1More is more controlled with greater bass definition and detail. The MM-400 has a well-done midrange, it is linear, maintaining light warmth from the low-end and its vocals sit in line with instruments. The 1More simply sounds more recessed and less natural. The MM-400 also has a touch of upper-midrange emphasis but not to the same extent as the 1More so it lacks the same kind of clarity but as it also doesn’t have a 4K dip, its midrange sounds more extended. The MM-400 employs slight lower-treble emphasis aiding crispness and it has linear extension into the higher octaves. The 1More is a touch smoother in the foreground, cymbals and strings aren’t as sharp, however, it has more energy, air and sparkle up top. It also has slightly better extension which is only emphasized by its upper-treble emphasis. The 1More has a larger stage, especially with regards to depth while the MM-400 has more intimate vocals. Both are well separated, the MM-400 images slightly better as it is more coherent. Oppo PM3 ($400): The PM3 is my favourite midrange portable headphone and quite unique as it employs a planar magnetic driver. It thrives off a powerful source just like the 1More. It is one of the most comfortable and isolating portable headphones on the market and its build quality feels more solid than the 1More, the tolerances are incredibly tight. What makes the PM3 special, however, is its almost perfectly balanced tuning. This makes it sound pretty flat and lifeless coming from the 1More. It has a touch of sub-bass emphasis but clearly less emphasis than the 1More, both extend well, the 1More a little more so, but the PM3 is tighter at the very bottom. It has a linear mid and upper-bass. Its bass is tighter and faster than the 1More, sounding more effortless on complex tracks, but it’s surprising how close the 1More gets with its greater emphasis and engagement. The Oppo has greater midrange presence, its lower-mids are slightly enhanced producing full-bodied male vocals. Its timbre is much more accurate than the 1More at the cost of engagement and clarity. This is especially so as the PM3 has a touch of attenuation in the upper mids that makes its female vocals sound smooth but also a little dry, the 1More sounding glossier and more delicate. The PM3 has a touch of lower-treble emphasis and has a more detailed foreground than the 1More with greater instrument body and more realistic body. It extends fairly linearly in the upper-treble but has a very dark background that saps some headroom and air from its presentation. As such, compared to the especially open, energetic 1More, it can sound a little closed in. The 1More has more energy here even if it is less detailed, it has better extension and a clearly more spacious stage. That said, it is generally less separated and doesn’t image or layer as accurately as the superbly balanced PM3. Still, balance isn’t an inherently positive term in all ways, many will enjoy the more engaging 1More especially on the go where ambient sound can drown out the PM3’s bass. The 1More Triple Driver successfully competes with headphones costing the same or more and even outdoes them in several key areas. Though it does have fairly recessed vocals, an on-ear fit that can wear on the ear over time and a lightweight construction that may not feel as rock solid as more premium portable headphones, this tastefully V-shaped headphone is incredibly easy to pick up and enjoy. It requires no acclimatisation coming from consumer gear while reaping all the benefits of a technically proficient multi hybrid-driver design. Special mention goes to the Triple Driver’s controlled yet impactful bass and to its open, sparkly and extended treble. This headphone may appear to cater towards the consumers, however, don’t be fooled, the Triple Driver Over-Ear possesses enthusiast quality in every regard while remaining a keen value proposition. The 1More Triple Driver Over-Ear is available from Amazon (International) for $200 USD at the time of writing. Please see my affiliate link for the most updated pricing, availability and configurations.